Have You Ever Wondered... What Your Life Would Become If You Could Unlock What's Blocking You From Greater Success And Access The Power Of Your Mind? Have You Ever Felt, or Thought... The Harder I Try, The Harder It Gets Or The Worst It Gets. The Way We Teach You To Exercise Your Mind At the Meditation Mind Gym Puts You Directly In-Touch With Your Power Mind Set Enabling You To Get Out Of Your Own Way. This Helps You Overcome Self-Defeating Patterns, Dissolve Unseen Mind Blocks, And Dissolve/Heal Those Negative Emotional Feelings. Discover the 10 Things You Need To Know About The Mind In Order To Improve Your Relationships, Finances, And Health. Improve Your Relationships, Health and Finances. 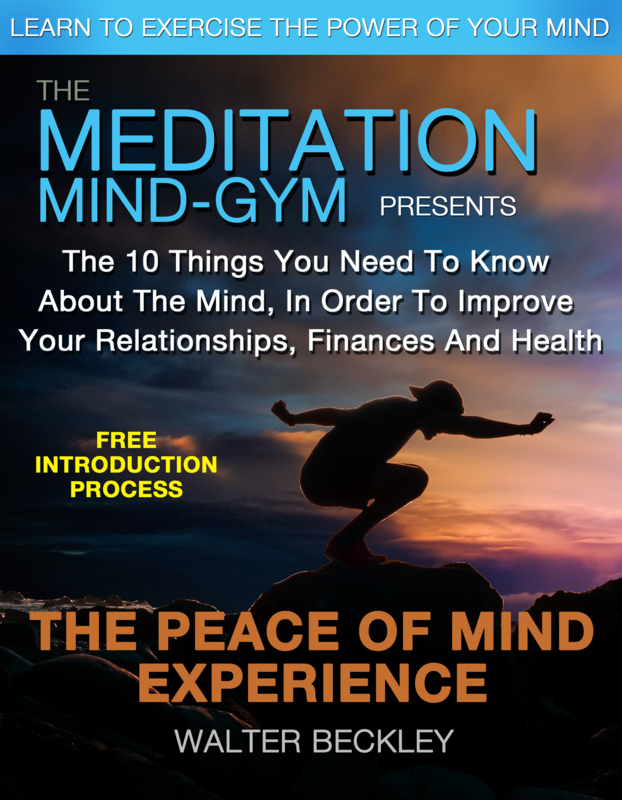 Discover the 10 Things You Need To Know About The Mind, In Order To Improve Your Relationships, Finances, And Health. DOWNLOAD NOW!Click Here-Get Your FREE Copy Now!